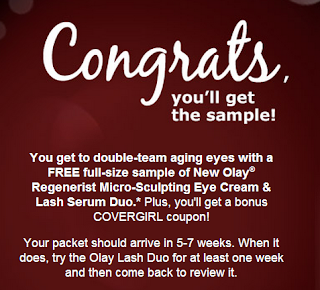 A fellow beauty & bargain blogger (and a personal friend of mine- see her page HERE) forwarded me this awesome free sample opportunity. Actually it is for a full sized product !! 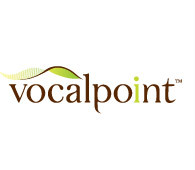 Head over to vocalpoint.com sign up if you aren't already a member (it is free) and be patient the site took forever to load !! 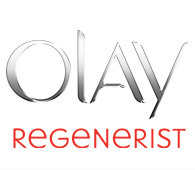 At the top there is a goodies tab scroll and find the Olay one and sign up to receive a FREE full-sized sample of the new Olay Regenerist Micro-Sculpting Eye Cream & Lash Serum Duo. Plus there will be a bonus coupon mailed with it. How awesome is that ?? 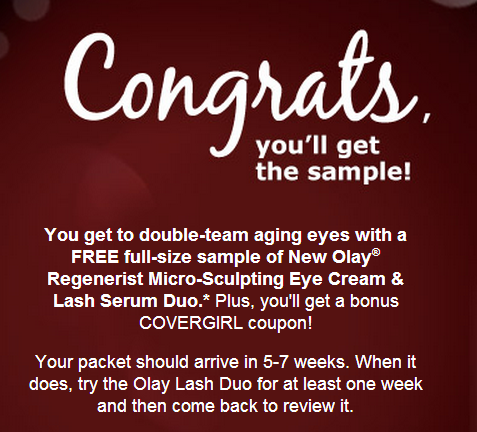 Double-team aging eyes with the New Olay®Regenerist Micro-sculpting Eye Cream & Lash Serum Duo. 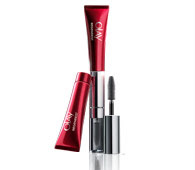 The dual-ended applicator softens the appearance of lines and gives you smoother-looking lids and instantly thicker-looking lashes—a powerhouse duo against aging eyes.